English hydrobiologist, zoologist, arctic and antarctic researcher. Born in Edinburgh in the family of a surgeon, received a medical degree. Even before completing the course of medical training in 1892, he went to Antarctica at the Balana whaler. In this campaign, Bruce conducted the first scientific observations of that time in Antarctic waters, which aroused interest in Antarctic research. In 1894, he received permission to participate in the whaling campaign in the Ross Sea, but could not arrive in Melbourne on time. 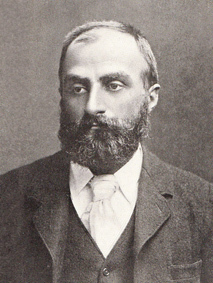 At the end of the course, Bruce was engaged in zoological work in Edinburgh, and in 1896 he joined the Jackson - Harmsworth expedition to the Franz Josef Land Archipelago. During the last year of the expedition, he participated in the survey of the western part of the archipelago and explored the fauna of the islands. 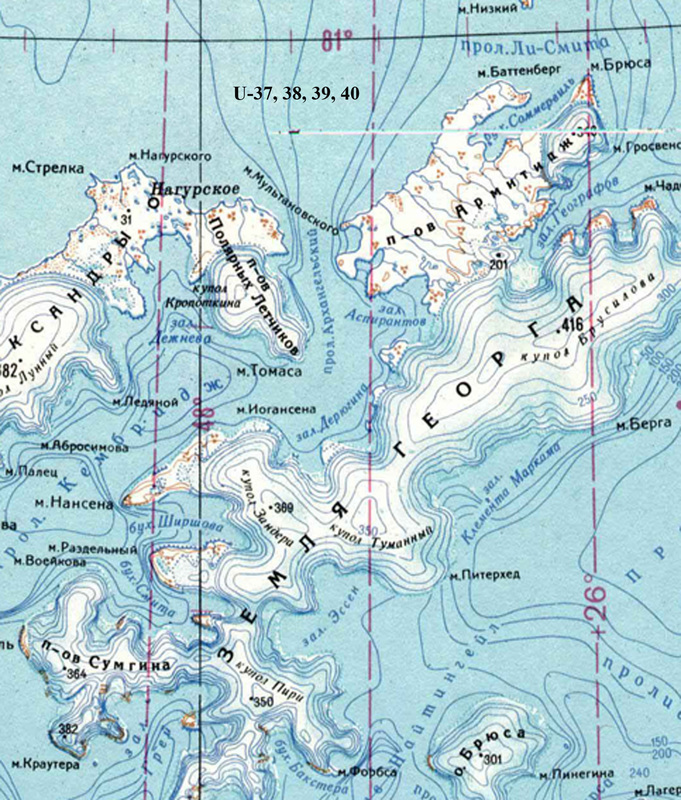 In 1898, Bruce traveled to Kolguev, Novaya Zemlya and Fr. Hope, and immediately after returning he joined the expedition of the Prince of Monaco to Svalbard. 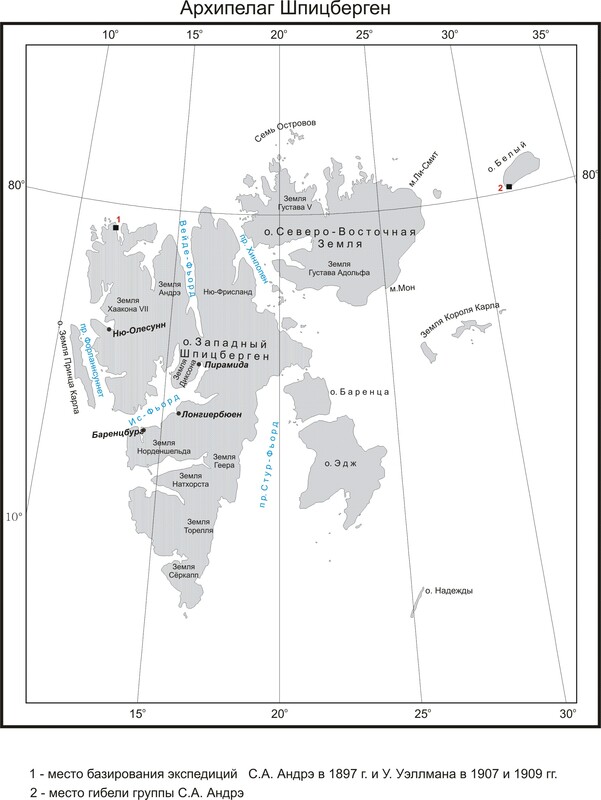 The following year, the expedition to Svalbard repeated: Bruce led a hydrographic survey of Red-Bay Bay. During these arctic journeys, he did not give up the idea of ​​organizing an expedition to the Weddell Sea. In 1902, he finally managed to get material, though non-governmental support and organize the "Scottish National Antarctic Expedition" on the ship "Scotia", one of the fastest and most powerful ships, specially built for polar work. He commanded an experienced ice captain T. Robertson. The expedition was provided with a full scientific staff for oceanographic, meteorological and biological research. It was they, and not the achievement of a record latitude, that was her main goal. Two summer seasons were studied in the Weddell Sea, which had not been explored before. No suitable harbor for safe parking was found, and the ship went to the South Orkney Islands for the winter for research and mapping. 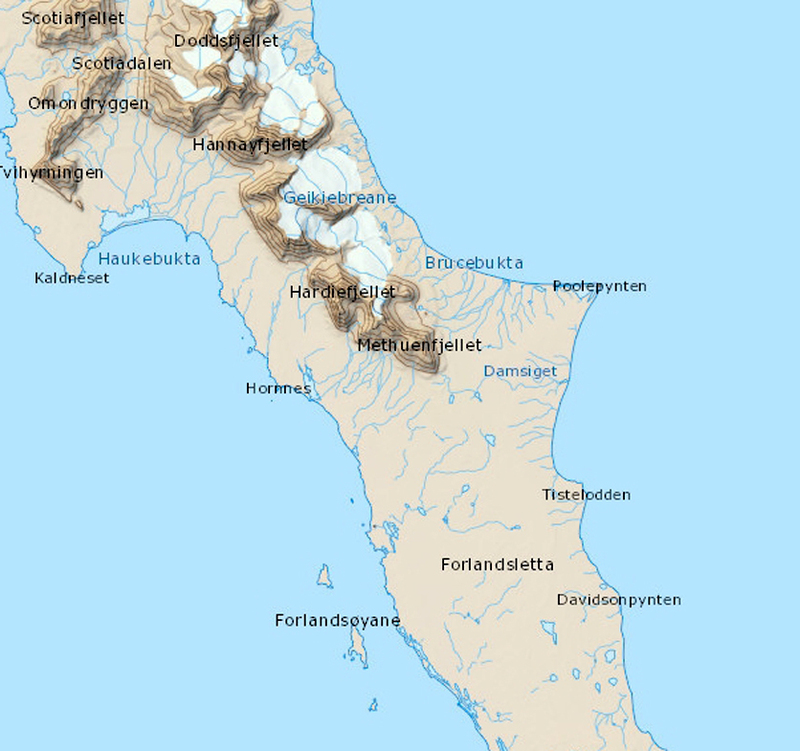 Having discovered the Coates Land at 74° S in 1904, the expedition showed that the coastline of Antarctica extends several degrees north of its previously assumed position. A long series of measurements of the depth of the bottom in the South Atlantic and the Weddell Sea were carried out, in many cases accompanied by dredging. Bruce devoted the way back to putting in order and systematizing the materials and data received. Publication of the results of the work showed their enormous scientific significance despite the fact that material costs did not exceed the amount of 35,000 pounds sterling. Bruce's long-time dream was the organization of the Ocean Institute in Edinburgh. He marked the beginning of his organization by creating the Scottish Oceanographic Laboratory. In 1910, Bruce unveiled a plan for organizing another Antarctic expedition, which was to conduct a bathymetric survey of the Antarctic South Atlantic, and also make an intersection from the Coats Land to the Ross Sea. Unfortunately, despite all efforts, it was not possible to find funds for this enterprise. Between 1909 and 1920, Bruce made seven visits to Svalbard, becoming the main authority on this region. 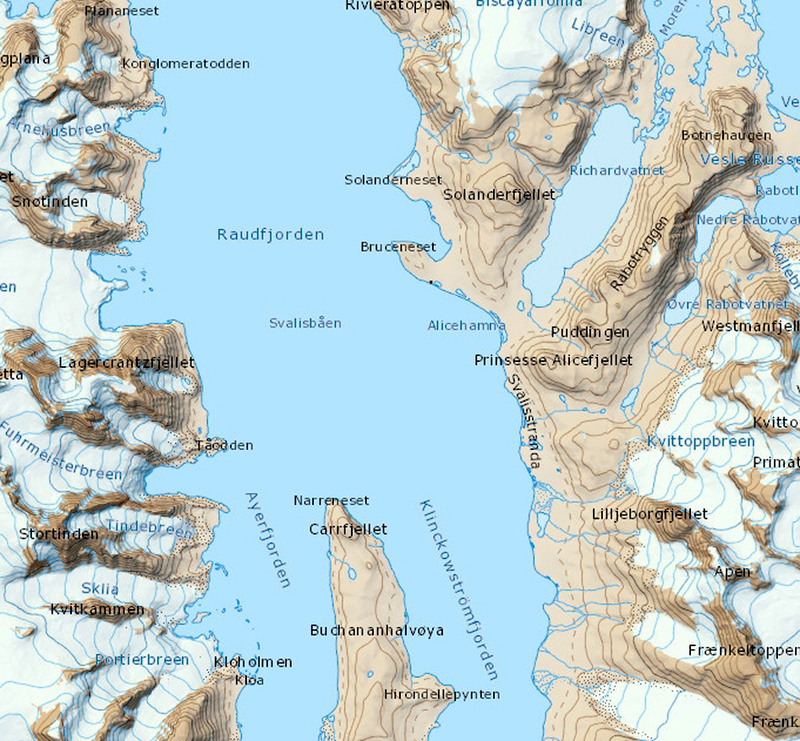 His work included detailed studies and mapping of the coastal zone of the Prince Charles Land, a hydrographic study of the Stur Fjord, and the search and study of coal deposits and other minerals. Bruce was a man who did not chase rewards and fame. Insularity and dislike of publicity made him little known to the general public, but he was a gold medalist of the English Royal Geographical Society (1910), the Scottish Geographical Society (1904), the Royal Society of Edinburgh (1911), received a medal issued by the American Geographical Society the centenary of David Livingstone. Bruce was a member and honorary member of several institutes, universities, committees, the author of numerous, including fundamental scientific publications. On expeditions, he was a real leader, never demanding more from his comrades than from himself. 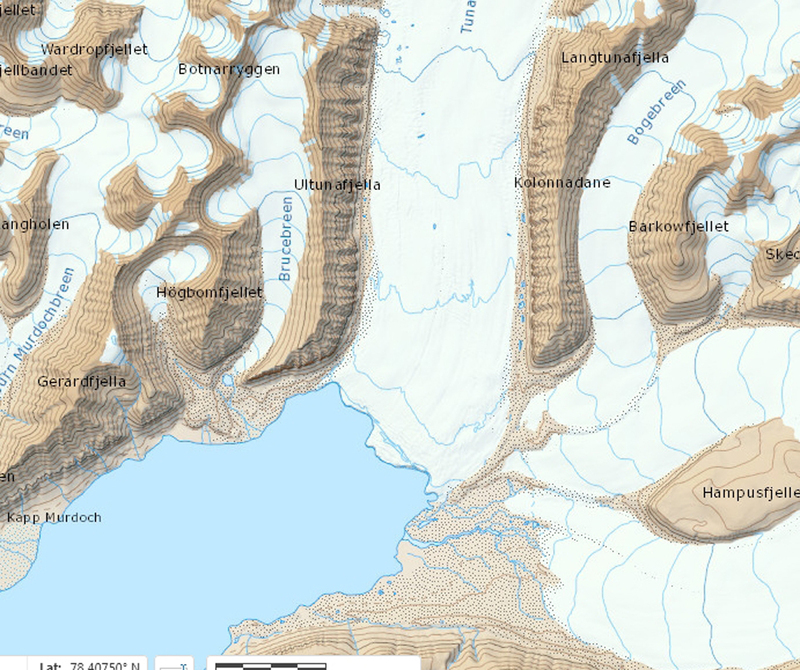 Bruce died after a long illness and bequeathed to dispel his ashes in the high latitudes of the South Atlantic in an area between 10 and 15 ° E.
Cape in the north of the island of George Land Archipelago Franz Josef Land. Named expedition F. Jackson in 1897. Cape on the east side of the Raudfjord, Biscay Peninsula, West Spitsbergen Island. The coordinates are 79° 40'N 12° 00'E. Glacier near the circuit of Tempel Fjord, West Spitsbergen Island. The coordinates are 78° 20'N 17° 00'E. Bay on the southeastern coast of the island of Prince Karl forland, Svalbard. The coordinates are 78° 27'N 11° 47'E.